Holy Baptism is the sacrament by which God adopts us as his children and makes us members of Christ's Body, the Church, and inheritors of the kindgom of God. A sacrament is the outward and visible sign of an inward and spiritual grace, given by Christ as sure and certain means by which we receive that grace. In the case of Holy Baptism, the outward and visible sign is water, in which the person is baptized in the Name of the Father, and of the Son, and of the Holy Spirit. 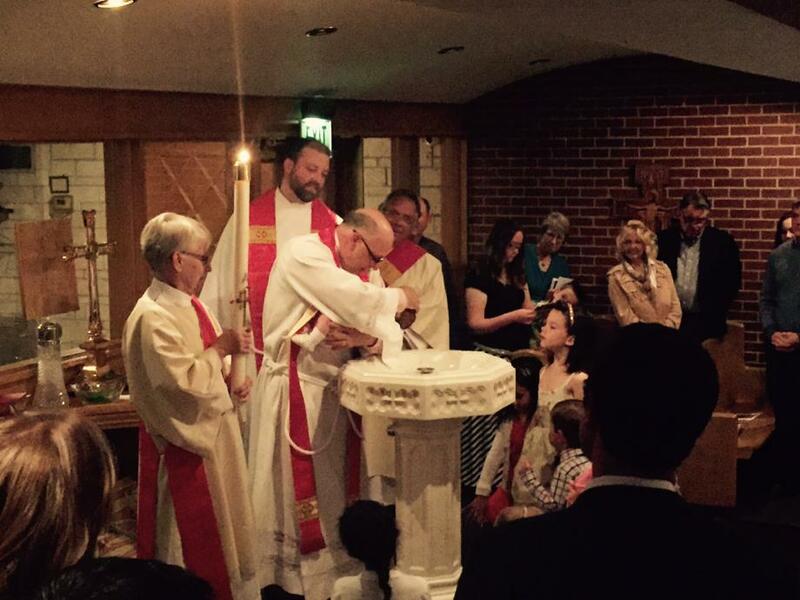 The inward and spiritual grace in Holy Baptism is union with Christ in his death and resurrection, birth into God's family the Church, forgiveness of sins, and new life in the Holy Spirit. It is required that we renounce Satan, repent of our sins, and accept Jesus as our Lord and Savior. Infants are baptized so that they can share citizenship in the Covenant, membership in Christ, and redemption by God. The promises made for the infant at the time of Baptism by their parents and sponsors (Godparents), are the parties who guarantee that the infant will be brought up within the Church, to know Christ and be able to follow him. Interested in Being Baptized? Start the Process Here! Holy matrimony is a sacramental rite, meaning although it is a means of grace, it is not necessary for all persons in the same way that Baptism and the Eucharist are. 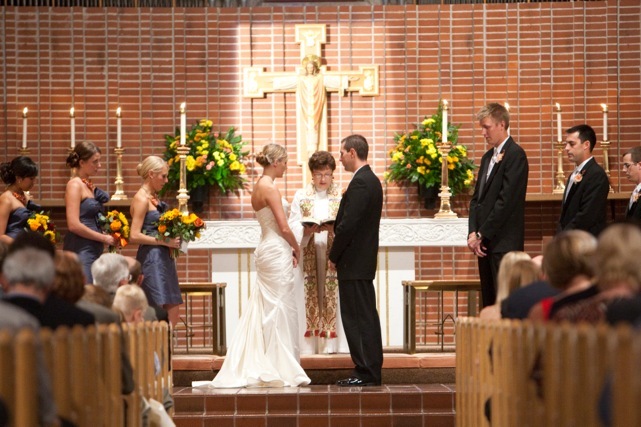 At St. Michael's, we want to make your wedding personal and memorable for you and your partner. St. Michael's is a beautiful place to get married. If you would like your wedding to be at St. Michael's, please fill out the form below to begin the process. Once submitted, a member of St. Michael's staff will contact you to make an appointment with a priest. At the appointment the priest will go over wedding policies, finalize a date on the church calendar, and address other topics as needed.